These tubes contain buffered tri- sodium provided in 3.2%. The mixing ratio is 1 part citrate to 9 parts blood. 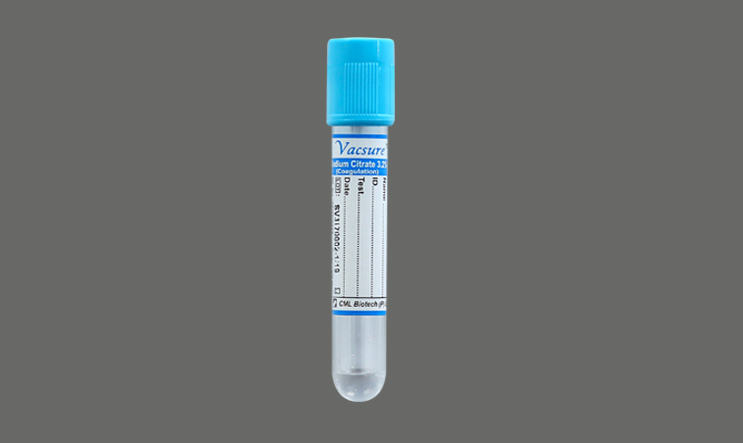 Gently invert the tube 180° 3-4 times and centrifuge at 2000-3000 rpm for 10 min.. Used for coagulation tests like PT, PTT, TT, Fibrinogen and FDP, D-dimer and many special coagulation tests to diagnosis various bleeding disorders such as Factor activity assays.